Information and resources to help you initiate, plan, and complete an energy transition that relies on local resources and eliminates dependence on imported fuels. The Islands Playbook (the Playbook) provides an action-oriented guide to successfully initiating, planning, and completing a transition to an energy system that primarily relies on local resources to eliminate a dependence on one or two imported fuels. It is intended to serve as a readily available framework that any community can adapt to organize its own energy transition effort. Along with describing the steps on the path toward a comprehensive energy transition, the Playbook includes lessons learned from efforts undertaken by Hawai'i, the U.S. Virgin Islands, and other—primarily island—communities who recognized that single sources of fuel unnecessarily constrained their ability to realize sustainability, economic development, and other goals. These lessons learned underscore that success is attainable, and hopefully provide others with the confidence to set and achieve their own goals. The Playbook also includes templates and blank worksheets for some of the activities described, which can be copied or distributed electronically when needed. These are designed, as is much of the Playbook, to organize an ongoing, constructive dialogue about a community's energy future and how to make that future a reality. Because these efforts will evolve over time, more resources and more lessons learned will be added to support the long-term pursuit of local, sustainable resources to diversify a community's energy portfolio. These resources can be found by phase on this website, and they are also included in the print version of the Playbook. We anticipate that the first additions will result from joint efforts undertaken by the U.S. Department of Energy, the Rocky Mountain Institute, and the Carbon War Room, to support energy transition efforts in the Caribbean. Transitioning away from a dependence on fossil fuels will require leadership and commitment by various parts of the community. To begin, a group of community leaders—such as utility managers and local officials—must express their commitment to the public and to potential investors. With an expression of commitment, the challenge then becomes selecting a path rather than whether the transition is possible at all. This lesson learned highlights the U.S. Virgin Islands' efforts and successes related to Phase 0. 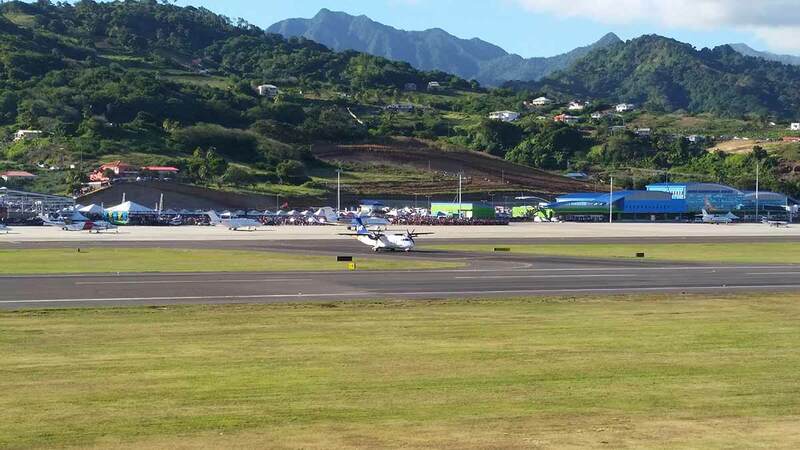 In 2010, U.S. Virgin Islands (USVI)—serving as a pilot project for the Energy Development in Island Nations initiative—set a goal to reduce its almost 100% dependence on imported fossil fuels. At an inaugural workshop in February 2010, USVI Gov. John P. de Jongh Jr. announced his goal to reduce the territory's dependence on fossil fuel by 60% by 2025. In support of this goal, Gov. de Jongh worked to charter and empower an effective, inclusive leadership team to engage stakeholders and set a generated stakeholder buy-in from the start for meeting the goal. By appointing local energy champions and other technical experts, the USVI was able to pave the way for future successful projects in support of the 60% by 2025 goal. Learn more about how the USVI engaged stakeholders to develop its clean energy vision. These resources offer additional information that may be useful while pursuing a clean energy transition. Solar Powering Your Community: A Guide for Local Governments (U.S. Department of Energy [DOE] 2011). DOE developed this resource to provide a framework for a comprehensive solar plan for a community by introducing a range of policy and program options. Sustainability Planning Toolkit (International Council for Local Environmental Initiatives [ICLEI] 2009). This publication provides a starting point to understand the key steps involved in developing or updating a sustainability plan. Login is required for online access. The Communications and Outreach Web Resource from ICLEI contains an array of steps and methodologies for communication and outreach efforts. The Planning Tool Exchange is an online hub for tools, resources, and organizations in community planning. The purpose of Phase 1 is to identify the major characteristics of the energy system to which the community will transition. In other words, Phase 1 will establish the principles—such as fuel diversity and price stability—to motivate stakeholders and lay the groundwork for analysis and deployment in Phases 2, 3, and 4. To accomplish this, the Phase 1 leadership team will collect input from the stakeholders identified in Phase 0, and draft a statement that reflects the shared understanding of the community. In Phase 2, the vision will frame analysis to determine specific pathways to realize this future state. These lessons learned highlight island communities' efforts and successes related to Phase 1. With a clean energy goal of 70% by 2030, which can be considered the most aggressive state goal in the United States, Hawai'i has become a leader in the implementation and demonstration of clean energy technologies. The state introduced formality to its goal development process, engaging a variety of stakeholders and setting up focused working groups to ensure expectations were clear, roles and responsibilities were defined, and that all of Hawai'i could actively participate in the transition to clean energy. Learn more about how Hawai'i established its clean energy goal and generated stakeholder buy-in from the start. 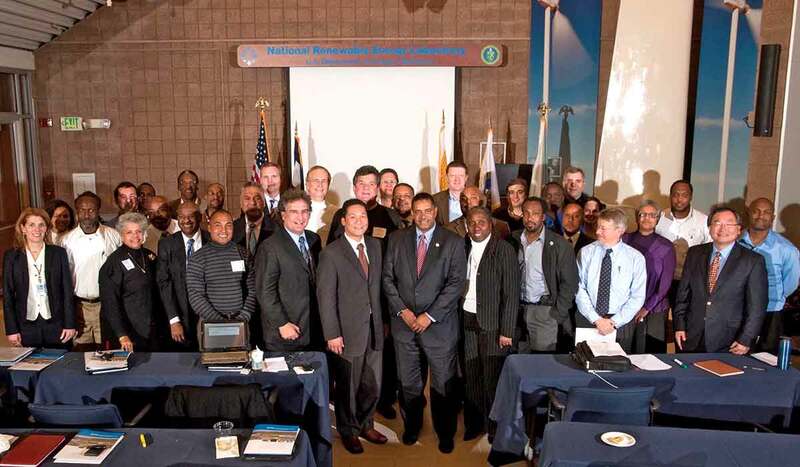 During a June 2010 workshop, the U.S. Virgin Islands' (USVI) leadership team and steering committee—tasked with helping the territory meet its 60% by 2025 goal—met with diverse public and private stakeholders with varying levels of technical expertise, perspectives, and agendas to discuss the process of refining the territory's clean energy vision, set goals for achieving it, form consensus about the path forward, and secure community buy-in. By engaging a wide-variety of both public and private stakeholders early on, the team was able to achieve consensus on the clean energy vision for the USVI and secure a sense of community ownership. Learn more about clean energy planning collaboration in the USVI. Low-Emission Development Strategies: Technical, Institutional and Policy Lessons (Organization for Economic Co-Operation and Development and International Energy Association 2010). This publication provides country case studies to examine the technical, institutional and policy challenges associated with preparing national climate change strategies. Reforming Power Markets in Developing Countries: What Have We Learned? (World Bank 2006). This publication uses case studies to assess the suitability of available options for public-private collaboration in the comprehensive reform of energy markets. The Community Energy Strategic Planning Web resource from the U.S. Department of Energy's Office of Energy Efficiency and Renewable Energy offers tools and tips on creating a robust strategic energy plan. 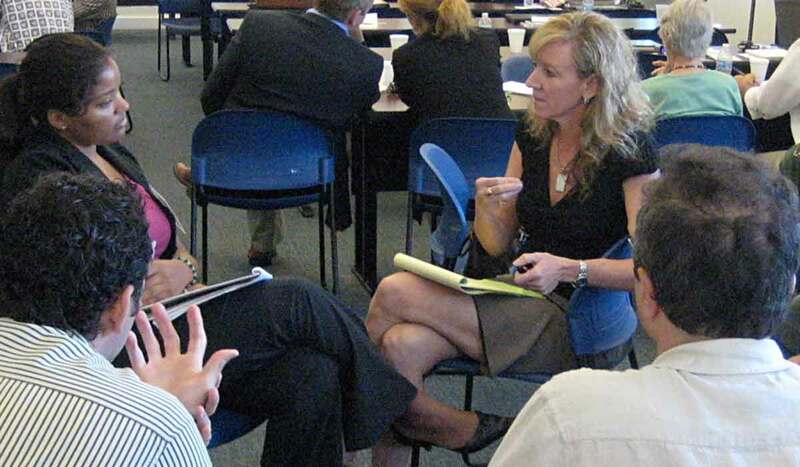 The Dialogue and Deliberation Resource Center from the National Coalition on Dialogue and Deliberation collects information on how to organize ongoing conversations to facilitate a shared understanding of change. The Energy Literacy Framework is an interdisciplinary approach to teaching and learning about energy. In Phase 2, the leadership team will coordinate analysis of energy solutions to realize the vision from Phase 1. Depending on the vision, the solution sets may go beyond electricity to include transportation energy use, water use, and land use planning. The purpose of this analysis is to provide the community with options and flexibility. The energy transition cannot be accomplished all at once, and circumstances will develop that will change what constitutes the best next step in the transition. At the end of Phase 2, the community will have assessed possible solutions and refined a few practical pathways to realizing the vision laid out in Phase 1. These lessons learned highlight island communities' efforts and successes related to Phase 2. A key first step in any energy planning process for islands is forecasting how electricity use patterns might change and grow for varying consumer classes over the long term. While utilities around the world forecast electricity demand, islands can face unique challenges in accurately forecasting their future electricity. In 2016, the Government of Saint Lucia and St. Lucia Electricity Services Limited (LUCELEC) led an integrated resource planning (IRP) process as part of developing a National Energy Transition Strategy (NETS). This process, the first of its type undertaken in Saint Lucia, led to a successful assessment of Saint Lucia's opportunity pathways. Learn more about Saint Lucia's integrated resource planning process. In 2017, the Government of Saint Vincent and the Grenadines (SVG) and St. Vincent Electricity Services Limited (VINLEC) led an integrated resource planning process as part of developing a National Energy Transition Strategy. 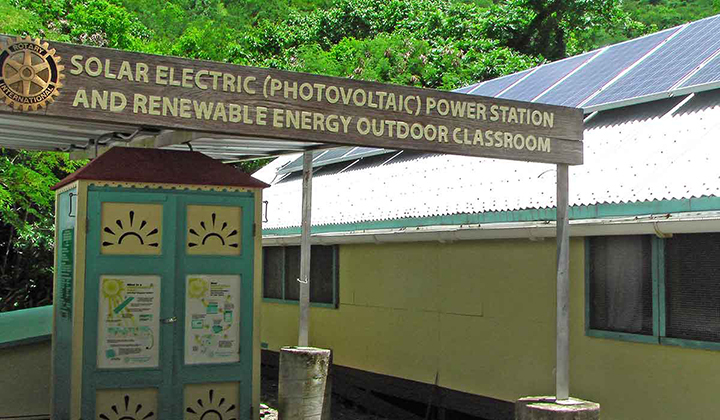 Rocky Mountain Institute, through the Islands Energy Program, provided independent technical support. This process led to a successful assessment of SVG's opportunity pathways and created a strong opportunity for project implementation. Learn more about SVG's tailored demand forecasting methodology. In both the U.S. Virgin Islands (USVI) and Hawai'i, aggressive clean energy goals necessitated establishing an energy baseline to enable more informed energy decision-making and provide a way to measure progress toward meeting the goals. The outcome of the energy baseline was then used to develop respective energy road maps to determine which energy efficient and renewable energy technologies would best use available resources, in essence charting realistic pathways to transition from the current energy system. Learn more about the USVI and Hawai'i's energy analyses to develop baselines and road maps. To complement energy efficiency targets in Hawai'i, the state developed requirements for generating 40% of its energy from renewable resources by 2030. In support of this requirement, the island of Oahu constructed, calibrated, and validated a high penetration renewable generator distribution feeder circuit on its electricity grid to understand the impact of high penetration renewables on island electric power systems. Resulting studies showed that high levels of wind and solar technologies were attainable, helping decision makers plan for the increase use of high penetration renewables for electricity generation. Learn more about high penetration solar studies in Hawai'i. 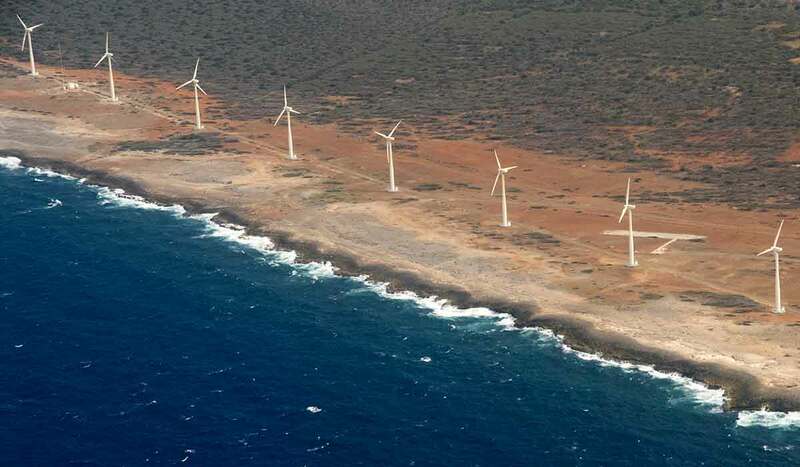 In 2010, Prime Minister Eman of Aruba expressed the ambitious goal of transitioning Aruba to 100% renewable energy by 2020. To meet the prime minister's vision, the Aruban government and the local utility developed an integrated strategy for sustainable, affordable, and reliable energy by assembling sector-specific teams of technical experts to examine the current status of the island's economic sectors responsible for most of its fuel consumption, and to offer a range of possible strategies for addressing the key challenges to sustainable growth in those sectors. The teams also pinpointed possible actions and opportunities that Aruba might take in the near term to realize its vision, which allowed the island to open new channels for environmentally sustainable economic growth. Learn more about how Aruba developed an actionable plan for meeting its clean energy goals. Baseline Energy Performance of New York State Government Buildings (NY 2013). This report demonstrates how energy baseline information can be collected, analyzed, and presented. Best Practices Guide: Integrated Resource Planning For Electricity (United States Agency for International Development 2009). This publication provides the analytical framework and methods to execute integrated resource planning. Best Practices in Electric Utility Integrated Resource Planning (Regulatory Assistance Project 2013). This guide uses case studies to examine different approaches to Integrated Resource Plans (IRPs). 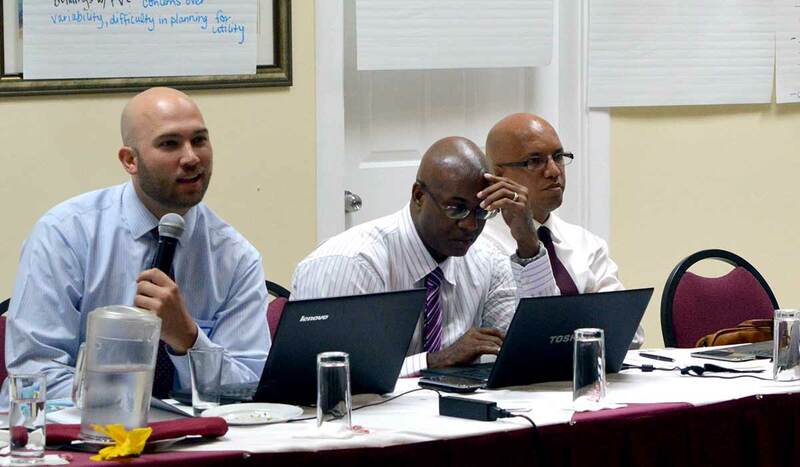 Caribbean Sustainable Energy Roadmap (Caribbean Community Secretariat 2013). This publication provides a comprehensive overview of the regional energy situation, in light of regional priorities on sustainable energy. Contribution of Working Group III to the Fourth Assessment Report of the Intergovernmental Panel on Climate Change (Intergovernmental Panel on Climate Change 2007). This report describes mitigation options in energy supply, transport, buildings, industry, agriculture, forestry and waste management, with one additional chapter dealing with the cross-sectoral issues. Encouraging Renewable Energy Development: A Handbook for International Energy Regulators (National Association of Regulatory Utility Commissioners 2011). This guide seeks to help international regulators navigate the policy landscape for large scale renewable deployment. Energy Baseline Methodologies for Industrial Facilities (Northwest Energy Efficiency Alliance 2013). This publication covers how to establish and document an energy baseline. Evaluating Policies in Support of the Deployment of Renewable Power (International Renewable Energy Agency 2012). This brief examines criteria to evaluate the performance of a number of renewable energy policies. 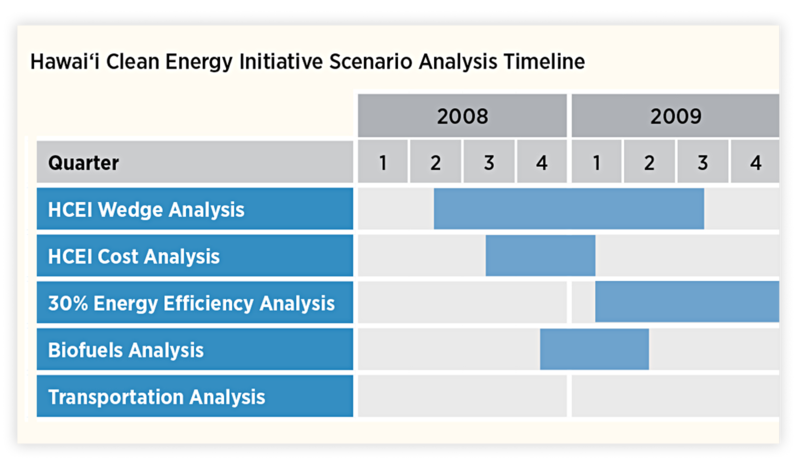 Hawai'i Clean Energy Initiative (HCEI) Scenario Analysis: Quantitative Estimates Used to Facilitate Working Group Discussions (2008–2010). 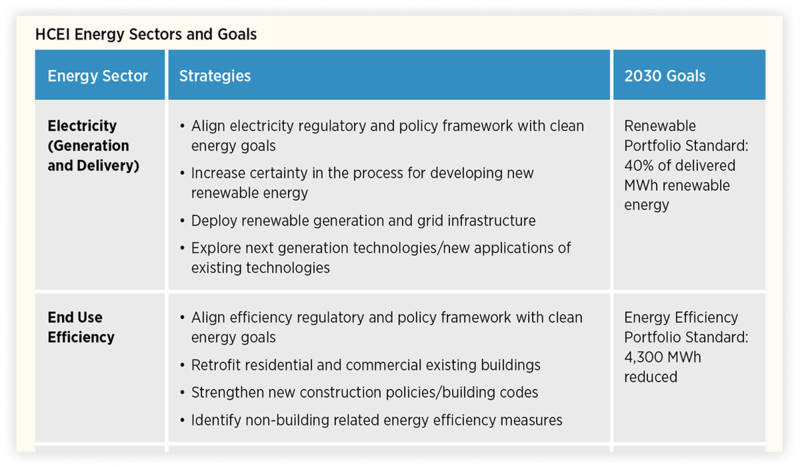 This analysis provided Hawai'i with the foundation to describe and assess pathways to realize its clean energy vision. The Body of Knowledge on Infrastructure Regulation from the Public Utilities Research Center provides links to a large library addressing the regulatory treatment of infrastructure, an extensive glossary, and self-testing features to facilitate learning. The Competition Reform Web Resource from the Organization for Economic Co-Operation and Development provides governments information to assess their own policies for opportunities to enhance competition. The Context Sensitive Solutions Resource Center from the U.S. Department of Transportation offers insights on infrastructure planning, in the context of transportation planning. The Cost of Renewable Energy Spreadsheet Tool (CREST) is an economic cash flow model designed to assess project economics under various policy support structures. The Developing a Greenhouse Gas Inventory Web resource from the U.S. Environmental Protection Agency includes steps on completing a greenhouse gas inventory. The Energy Regulators Regional Association (ERRA) E-Library provides information and data related to energy regulation. The Energy System and Scenario Analysis Toolkit collects a variety of different tools to assist with modeling and analyzing an energy system. The Hawai'i Clean Energy Initiative website contains the latest information and analysis on many clean energy efforts in Hawai'i. The International Council for Local Environmental Initiatives Toolkit provides tools to help complete an emissions inventory. The RETScreen website and software provide a decision support tool to evaluate distributed energy project feasibility and performance. The State and Local Energy Efficiency Action Network offers resources, discussion forums, and technical assistance to state and local decision makers as they provide low-cost, reliable energy to their communities through energy efficiency. The Sustainable Energy Regulation and Policymaking for Africa website from the United Nations Industrial Development Organization contains a variety of information on shaping energy policy. Using Integrated Resource Planning to Encourage Investment in Cost-Effective Energy Efficiency Measures (U.S. Department of Energy 2011). This publication covers the planning issues of particular relevance to including demand-side resources in IRPs. At the end of the opportunity road map process in Phase 2, a Strengths-Weaknesses-Opportunities-Threats analysis identified potential near-term projects to begin making the energy vision from Phase 1 a reality. When selecting which near-term actions to take, the leadership team and working groups need to consult subject matter experts and other stakeholders, many of whom may be affected by project implementation. Many of these stakeholders will have participated in Phase 2, and based on the priorities they identified at that time, will also have input about which projects to pursue first. Without limiting their input, the project preparation consultations with stakeholders should identify actions that address specific problems with practicable solutions that can be accomplished within a reasonable time frame and defined budget. Also, after projects are identified, the team members must be ready and willing to explain why they were selected and others were not. This transparency can help maintain interest in supporting the overall effort. These lessons learned highlight efforts and successes related to Phase 3. The islands along the coast of Maine pay some of the highest energy prices in the country—up to $0.70/kilowatt-hour (kWh) for electricity and a dollar more per gallon of heating oil than what is paid on the mainland. On 15 Maine islands, citizen groups seeking to reduce vulnerability to energy supply disruptions and improve the resilience of their year-round communities began looking toward new energy technologies as potential solutions. 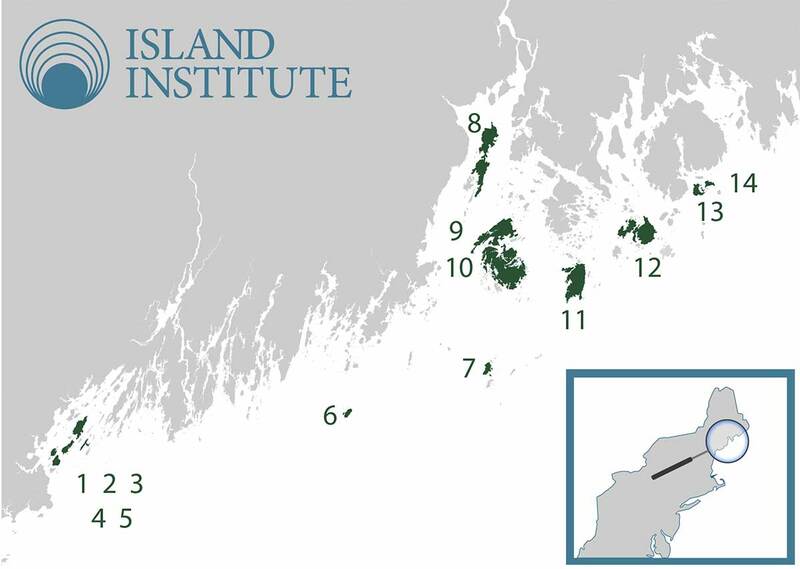 As they sought support in addressing their energy and resiliency challenges, these grassroots island energy transition leaders turned to the Island Institute, a local nonprofit dedicated to sustaining Maine's island and remote coastal communities through strong economies, education and leadership, and shared solutions. Working collaboratively with the Island Institute, several islands decided to launch a collective purchasing project called "Weatherization Weeks." Learn more about Weatherization Weeks. Between 2012 and 2017, over 380 island homes on 14 Maine Islands participated in Weatherization Weeks, saving $126,400 annually. In 2016, the utility in the Turks and Caicos Islands (TCI), FortisTCI, partnered with experts from the Islands Energy Program at Rocky Mountain Institute (RMI) to issue a request for proposals (RFP) for an engineering, procurement, and construction (EPC) company to construct and install a 1-megawatt solar photovoltaic (PV) system across five sites. This project, the first of this type undertaken in the TCI, supports FortisTCI's goal to integrate renewable energy levels identified in the company's integrated resource plan (IRP), which also identified an optimum energy mix based on the principle of reliable, least-cost energy. FortisTCI adopted a parallel approach to the procurement process, pursuing a well-thought-out and strategic project to jump-start the integration of renewable energy and gain momentum while planning for medium- and long-term energy transition goals. Learn more about TCI's procurement process. 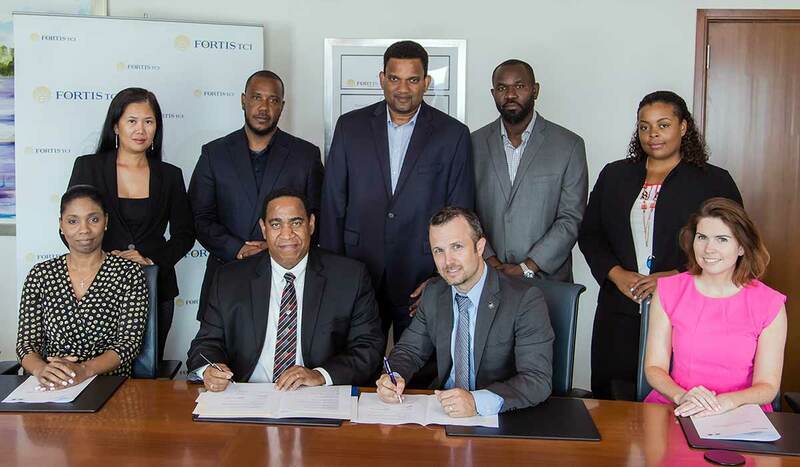 FortisTCI and RMI signing of a memorandum of agreement to jointly develop and commercialize the first utility-scale solar project across five islands in the Turks and Caicos Islands. Photo from FortisTCI. Barbados is addressing the challenge of offsetting high fossil fuel costs by using its abundant solar resources to power solar water heaters across the island. The island successfully overcame market barriers to widespread implementation of solar water heaters thanks to local high-level government champions, financial incentives, and a locally sensitive marketing strategy that gained consumer acceptance. 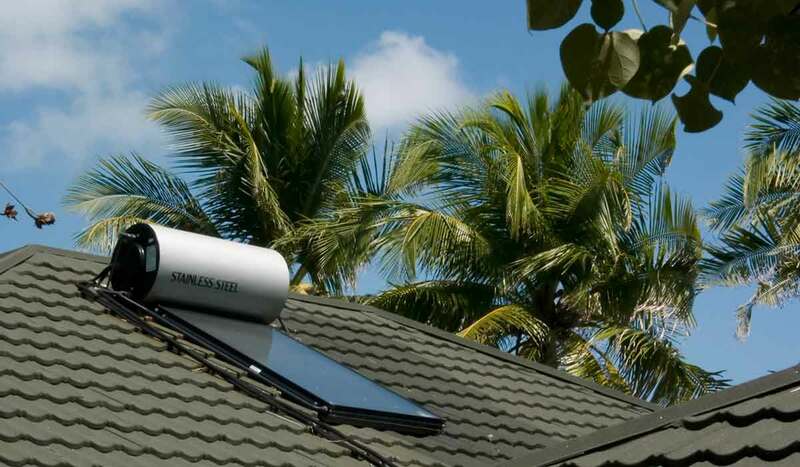 Learn more about the solar water heater industry in Barbados. On May 4, 2007, a massive tornado struck Greensburg, an agricultural community of about 1,400 people in south-central Kansas, and damaged or destroyed more than 90% of the city's structures, vehicles, and electricity infrastructure. Since then the city has adopted a resolution that all city-owned buildings (more than 4,000 square feet) be designed to a U.S. Green Building Council Leadership in Energy & Environmental Design (LEED) Platinum level with a minimum of 42% energy cost savings compared to standard buildings built to code. 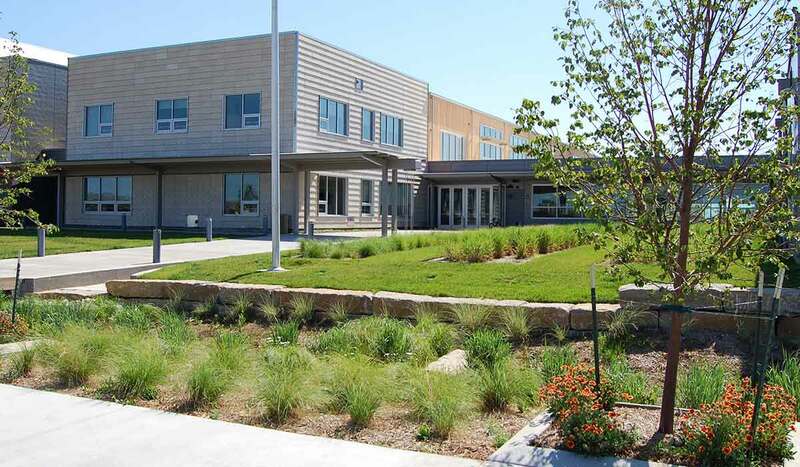 Today, buildings such as the Arts Center, the SunChips Business Incubator, Kiowa County Memorial Hospital, and the K-12 school have been successfully built to LEED Platinum standards, while the courthouse and other buildings have been rebuilt to LEED Certified and Gold standards saving a combined total of $200,000 in energy costs per year. Learn more about high performance buildings in Greensburg. Faced with electricity prices more than four times higher than the U.S. average, U.S. Virgin Islands (USVI) Gov. John P. de Jongh Jr. set an aggressive goal in February 2010 to reduce the territory's almost total dependence on fossil fuel 60% by 2025. The establishment of clear and well-defined interconnection policies and procedures has been a significant factor in the success USVI has achieved in pursuit of its 2025 goal. The USVI tapped into outside technical expertise and leveraged model interconnection standards developed by similar communities to develop a draft interconnection procedure, working collaboratively with local stakeholders and project partners to ensure that the procedure it ultimately adopted would encourage and promote renewable energy development without compromising the safety and reliability of the electricity distribution system. Learn more about interconnection standards in the USVI. A Guide to Community Shared Solar (U.S. Department of Energy [DOE] 2012). This publication covers the planning and implementation of a community solar program, including examples of operational projects. A Guide to the Lessons Learned from the Clean Cities Community Electric Vehicle Readiness Projects (DOE 2014). This report describes lessons learned from series of projects that are intended to advance the deployment of plug-in electric vehicles. A Step by Step Tool Kit for Local Governments to Go Solar (California Energy Commission 2009). This guide describes how governments can support the development of a residential solar market. Alternative Rate Mechanisms and Their Compatibility with State Utility Commission Objectives (National Regulatory Research Institute [NRRL] 2014). This analysis identifies and reviews alternative rate mechanisms that have come to the forefront in state utility regulation the recent past. Clean Energy Finance Through the Bond Market (Brookings 2014). This paper provides an overview of issues regarding using public debt to support clean energy deployment. Contingent Liabilities: Issues and Practice (International Monetary Fund 2005). This paper discusses the fiscal issues raised by contingent liabilities, which include sovereign guarantees. Developing Renewable Energy Projects Larger Than 10 MWs at Federal Facilities (Federal Energy Management Program 2013). This detailed guide contains project development checklists relevant to U.S. utility-scale projects that could be the foundation for tailored project development checklists in other jurisdictions. Energy Project Financing: Resources and Strategies for Success (Thumann 2008). This book provides a comprehensive treatment of financing energy projects, primarily in the context of building energy retrofits. Evaluation of the Barbados Solar Water Heating Experience (Barbados 2003). This briefing provides a history of solar water heater deployment in Barbados, with supporting data. Finance Mechanisms for Lowering the Cost of Renewable Energy in Rapidly Developing Countries (Climate Policy Initiative 2014). This publication contains three briefs describing mechanisms that governments can use to lower capital costs. Financing Energy Improvements on Utility Bills: Market Updates and Key Program Design Considerations for Policymakers and Administrators (State and Local Energy Efficiency Action Network 2014). This guide provides an overview of the current state of on-bill programs and provides actionable insights on key program design considerations for on-bill lending programs. Key Principles for Effective Strategic Workforce Planning (U.S. General Accounting Office 2009). This report describes the key principles of strategic workforce planning and provides illustrative examples of these principles. Mitigating Commercial Risks in Project Finance (International Bank for Reconstruction and Development 1996). This brief describes major tools to allocate risk in large projects. Overview of Regulatory Incentives in the Context of Public Policy Goals (NRRL 2008). This report describes general categories of regulatory devices to meet policy goals and provides criteria for assessing their effectiveness. Project Selection Criteria: Greece-Italy Territorial Cooperation Programme (European Regional Development Fund 2007). This policy document demonstrates one real-world method to effectively evaluate proposals, including relevant screening checklists. Risk Management Guide for DOD Acquisition (U.S. Department of Defense 2006). This guide discusses a variety of program risks, and how to address them, during the public contracting process. Saving Energy in Commercial Buildings Checklist (NREL 2011). This checklist provides a succinct, comprehensive overview of the variety of measures a commercial building can undertake to improve the efficiency of energy and water use. Solar Powering Your Community: A Guide for Local Governments (DOE 2011). DOE developed this comprehensive resource to provide a framework for a comprehensive solar plan for a community by introducing a range of policy and program options. The Building Energy Codes Program Resource Center provided by DOE’s Office of Energy Efficiency and Renewable Energy (EERE) contains a comprehensive collection of information and tools designed to support the development and enforcement of energy codes. The Clean Energy Group website contains data, reports and educational material relating to clean energy finance. The Energy Data Management and Evaluation website provided by EERE contains information below about energy data management with resources to use in designing and implementing a data management plan. The Free Management Library contains a variety of resources relating to project management, including feasibility and risk management. 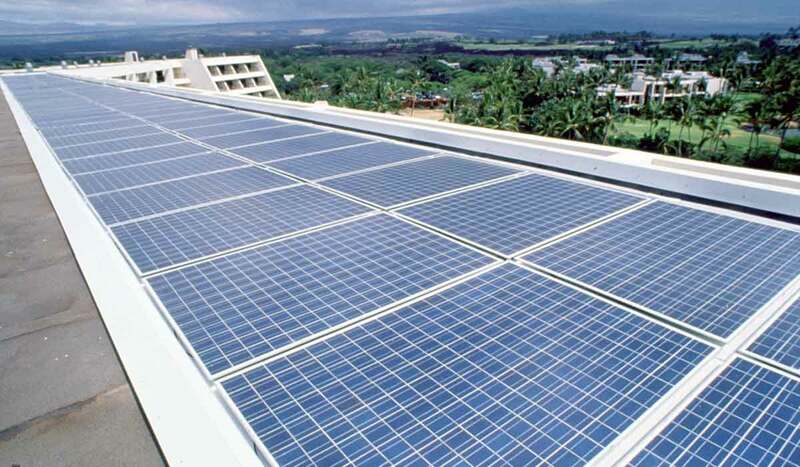 The Hawai'i Guide to Renewable Energy Facility Permits provides information on the federal, state, and county permits required for renewable energy facilities in Hawai'i. The iSixSigma website hosts a variety of resources, including tools and blogs, on project selection and process improvement. The LEADER Gateway provided by the European Commission is a local development method which facilitates local actors in developing an area by focusing on its endogenous development potential. The PSE&G Residential Solar Program website describes how the private utility responded to the policy goal of increasing residential solar deployment. The Project Management Knowledge Center hosts forms and resources on project management, some of which are free. The Role of Pension Funds in Financing Green Growth Initiatives (Organization for Economic Co-Operation and Development 2011). This paper examines policies and finance options to encourage pension funds to help finance green growth projects. The System Advisor Model (SAM) makes performance predictions and cost of energy estimates for grid-connected power projects based on installation and operating costs and system design parameters that you specify as inputs to the model. After a project has been selected and its components have been designed to take advantage of available human and financial resources, the project team can shift to execution. In Phase 4, the project team will implement the performance and reporting plans, coordinate project partners, and continue to engage the public regarding progress. This lesson learned highlights the U.S. Virgin Islands' efforts and successes related to Phase 4. In 2010, the U.S. Virgin Islands (USVI) began working with a diverse set of public and private stakeholders to identify the most viable and cost-effective solutions to address its energy challenges. The results identified larger and distributed scale solar resource development as an important first step thanks to the territory's excellent solar resource and established policies that provided an opportunity for developers to capitalize on the abundant renewable energy technology. 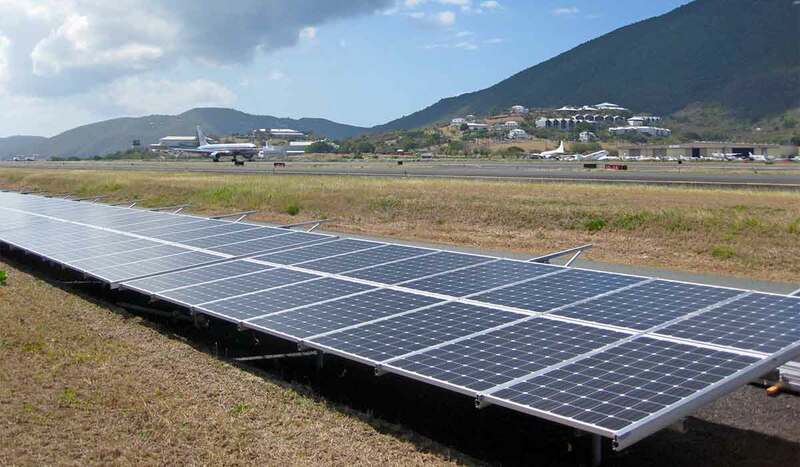 To date, several solar projects have been implemented throughout the territory, including the largest airport solar system in the Caribbean. The success of the USVI's solar projects provide a model for other islands to follow by showcasing the technical and economic viability of renewable energy on islands. Learn more about the development of successful solar projects in the USVI. A Handbook for Measuring Employee Performance: Aligning Employee Performance Plans with Organizational Goals (U.S. Office of Personnel Management [OPM] 2011). This handbook presents an eight-step process for developing employee performance plans that are aligned with and support organizational goals. Community Wind Toolkit (Rural Energy for America Program 2011). This publication describes the tools needed to create a successful wind energy project. Construction Project Close-Out Checklist (Alabama 2006). This checklist covers the closeout of a building construction project. Cost Estimating and Assessment Guide (U.S. Government Accountability Office [GAO] 2009). This report guides project managers in estimating costs reliably. DAU Program Managers Tool Kit (U.S. Department of Defense 2011). This comprehensive guide is designed as a training resource for project and contract managers. Environmental and Social Policy Statement (Overseas Private Investment Corporation 2010). This policy provides notice of the general environmental and social requirements that the Overseas Private Investment Corporation applies in evaluating prospective projects. Guide to Renewable Energy Facility Permits in the State of Hawaii (Hawaii 2013). The state of Hawaii provides this guidebook to reduce the uncertainty surrounding which permits are required for which activities in a given renewable energy project. Key Considerations for Implementing Interagency Collaborative Mechanisms (GAO 2012). This report offers an overview of mechanisms to facilitate interagency collaboration. Land-Based Wind Energy Guidelines (U.S. Fish and Wildlife Service 2012). This guidance provides a structured, scientific process for addressing wildlife conservation concerns at all stages of land-based wind energy development. Life Cycle Asset Management: Quality Assurance (U.S. Department of Energy 1996). This guide helps project management teams develop and implement quality assurance programs for their projects. Project Closeout Checklist (National Science Foundation 2006). This checklist provides a real-world example of the various components of a large project closeout. Project Management Guideline: Section 5 Project Closeout (Virginia Department of Transportation 2006). This publication describes the various steps to take in an effective project closeout. Quality Management Principles (International Organization for Standardization [ISO] 2012). ISO developed these eight principles to inform ISO 9000, the international standard on quality management and quality assurance. Renewable Energy Permitting Barriers in Hawaii: Experience from the Field (National Renewable Energy Laboratory [NREL] 2013). This report documents the permit streamlining project undertaken by the state of Hawaii. Review of Policies and Recommendations for Wind Turbine Setbacks (Minnesota 2011). This survey compiles rules on the siting of wind turbines from different countries. Schedule Assessment Guide (GAO 2012). This report guides project managers in setting reliable program schedules. Terrestrial Wind Turbine Siting Report (Rhode Island 2009). This survey compiles rules on the siting of wind turbines from a few U.S. jurisdictions. The Economic Partnership Agreement between the CARIFORUM States and the European Community and its Member States. Chapter 3 of Part II contains useful information on transparency in procurement. The Environmental, Health and Safety website from the International Finance Corporation hosts the most updated versions of the World Bank Group Environmental, Health, and Safety Guidelines. The Hawai'i Programmatic Environmental Impact Statement contains analysis of the potential environmental impacts of a number of energy efficiency and renewable energy activities and technologies. The Measuring Performance Management website from OPM contains recommendations, advice and guidance on effective performance management. The Non-Binding Principles on Government Procurement from the Asia-Pacific Economic Cooperation Government Procurement Experts Group. These principles provide helpful guidelines in structuring transparent procurement. The Performance Management Program Guide provided by the Treasury Board of Canada contains information on how to establish employee performance management programs. The Renewable Energy Contracts Library hosted by NREL contains a number of real-world renewable energy contracts, including Request for Proposals. The UNCITRAL Model Law on Public Procurement. This model law lays out many international best practices on building an effective and efficient public procurement system. The Unified Process Project Management Guide provided by the U.S. Centers for Disease Control and Prevention hosts downloadable briefs and forms that provide guidance to project teams about key project management practices, including status reporting. Tools and Techniques for Implementing Management Systems (Institute of Management Accounting 1998). This brief provides tools and techniques that can facilitate the development of an Integrated Project Management System, including some common key success factors. The operations phase of energy systems is the time during which the benefits of most energy projects will be realized. Operations and maintenance (O&M) allows full use of the project assets and minimal impact from outages or unavailability. Collect consistent information to facilitate component replacement or planned outage requests, warranty claims, and documenting success and energy savings. A Retrocommissioning Guide for Building Owners (U.S. Environmental Protection Agency 2009). This guide covers the business case for retrocommissioning and describes the process step-by-step, including key strategies for success. Building Operations & Maintenance Best Practices: A Guide to Achieving Operational Efficiency (U.S. Department of Energy [DOE] 2010). This guide provides energy managers with information and actions aimed at achieving these savings and benefits. Commissioning for Federal Facilities (DOE 2006). This guide describes operations and maintenance (O&M) aspects of building commissioning and quality assurance. Energy Efficiency Program Impact Evaluation Guide (DOE 2012). This guide describes the common terminology, structures, and approaches used for determining energy and demand savings, avoided emissions, and other non-energy benefits. ESPC Life of Contract Plan: Documents Management and Checklist for Energy Savings Performance Contracts (State of Hawai'i 2012). This planning aid provides helpful guidance on effective energy efficiency retrofit project management. Establishing an In-House Wind Maintenance Program (National Renewable Energy Laboratory 2011). This report discusses components of wind O&M plans. Field Inspection Guidelines for PV Systems (Interstate Renewable Energy Council 2010). This guide provides a basic knowledge of how to inspect a photovoltaic system so that a field inspector can take this framework and develop the experience necessary to perform these inspections quickly and thoroughly. Hounsfield Wind Farm Operations and Management Plan (Upstate NY Power Corp 2009). This is an example of a real-world O&M plan for a wind farm. Introduction to Measurement & Verification (DOE 2007). This publication provides an overview of why and how measurement and verification is conducted. Model Energy Savings Performance Contract Attachment 1 (Energy Services Coalition 2011). This model contract provides insight into the structure and content of an ESPC agreement, including monitoring and verification. Planning and Reporting for Operations & Maintenance in Federal Energy Saving Performance Contracts (DOE 2007). These guidelines describe the O&M on planning and reporting in energy savings performance contracts. PV System Operations and Maintenance Fundamentals (SolarABCs 2013). This report includes practical guidelines for PV system maintenance and options for inspection practices for grounded PV systems. The Maryland System Development Lifecycle website provides a framework on reducing project failure, and provides an example of how to develop an O&M policy for an organization. Not long after a program ends or a project closes out, collecting insights from team members and other stakeholders provides information critical to improving the next project. By incorporating the learning that comes from project development and execution into subsequent projects, the team will accelerate progress toward realizing the Phase 1 vision and help ensure that the progress made to date will be a part of lasting change. After a few projects have been completed, the information collected in Phase 6 can help the community reassess opportunity pathways from Phase 2 under new conditions and ensure that the next round of Phase 3 project selections take the next steps toward realizing the energy vision. These lessons learned highlight Hawai'i's efforts and successes related to Phase 6. Since the launch of HCEI in 2008, Hawai'i has made substantial progress toward its initial goal of meeting 70% of its energy needs with clean energy by 2030, but not without encountering significant hurdles along the way. As distributed generation (DG) increases in the later phases of an island energy transition, grid integration challenges can arise. 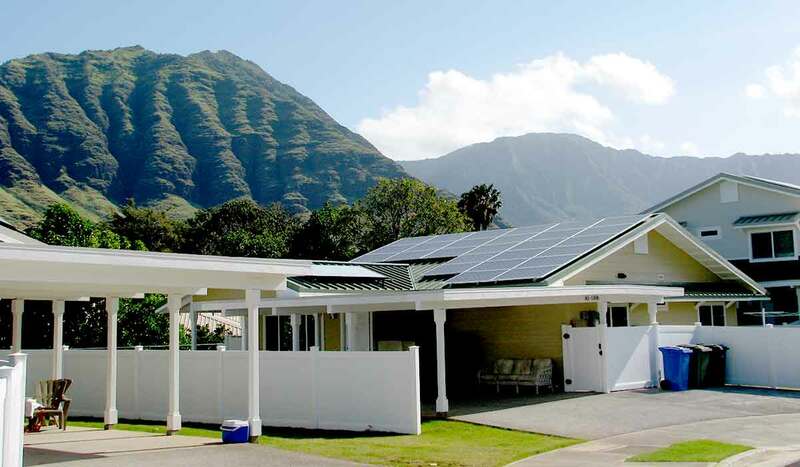 The modeling and analysis Hawai'i is conducting to plan for future growth of distributed energy resources (DER) and anticipate future limitations of its six islanded grids exemplify proactive measures to address these challenges. As other island communities seek to strike a balance between maintaining project momentum and ensuring system reliability through process improvements, they can learn from Hawai'i. Read more about Hawai'i's two-pronged approach to distribution system reforms. 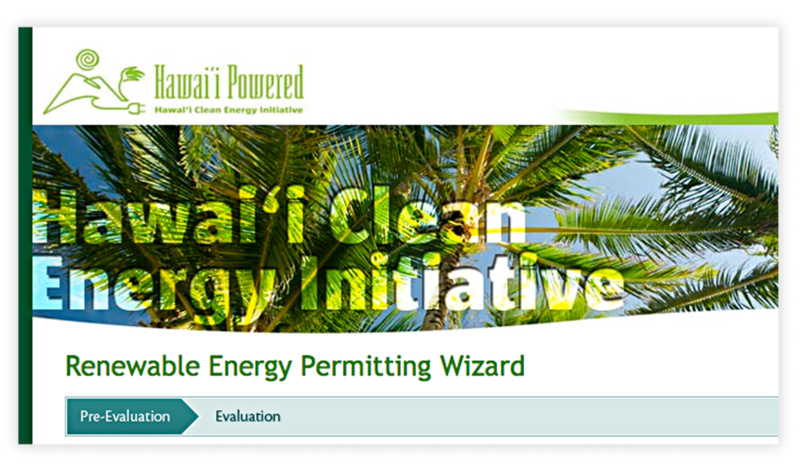 To address the complex permitting process for renewable energy projects in many jurisdictions across the Hawai'ian Islands, the Hawai'i Clean Energy Initiative (HCEI) and its partners developed the Renewable Energy Permitting Wizard. The tool helps utilities, developers, and policymakers meet Hawai'i's renewable energy goals by simplifying and expediting review of the required county, state, and federal permits for each renewable energy project regardless of size, resulting in more appropriate project siting and shortened permitting timelines. Read more about the development of the Renewable Energy Permitting Wizard and how other permitting agencies and organizations can learn from the project. Post Implementation Survey (Pennsylvania 2008). This is a real-world project closeout survey for project team members. Project Closeout: Guidance for Final Evaluation of Building America Communities (National Renewable Energy Laboratory 2008). This evaluation demonstrates a real-world example of a comprehensive closeout review of a large project. Project Closeout Template (U.S. Centers for Disease Control and Prevention 2006). This template provides a useful foundation for an energy project closeout form. The Cornell Project Management Methodology website hosts a variety of project management templates, including a project closeout checklist.